Do you wish there was something else you could do to help the Arizona Council of Human Service Providers in our mission to promote and maintain a comprehensive continuum of services that help Arizona’s children, families, and adults build lives of quality and self-sufficiency? There is and it’s simple to do. On line contributions to the Arizona Council of Human Service Providers Political Action Committee (PAC) through PayPal and Bill Me Later allow you to do this quickly and easily. You can use a debit card, credit card, or Pay Pal to make your donation. You may also be interested in Bill Me Later, which allows you to pay off your contribution over 6 month’s absolutely interest free. To do that, you need to complete a short application to be approved. POLITICAL ACTION COMMITTEE DONATIONS: Are you worried about funding for Behavioral Health, Child Welfare, and Juvenile Justice programs? 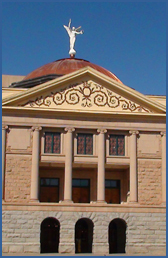 Do wish there was something more you could do to influence the Arizona Legislature? Do you want to be on the cutting edge of primary and general elections, supporting candidates who can make a difference? PAC donations can only be made by individuals, not agencies. Staff and Board members of non-profit organizations and their families may make PAC donations. Make your donation TODAY to the Council PAC with a non-tax deductible contribution used to support our participation in the public policy arena as well as supporting candidates who support our mission.